Galebreaker Group Ltd is a specialist manufacturer of screens and doors for the agricultural industry, power stations and the oil and gas sector. Its state-of-the-art screens and doors are used to control temperature and the environment. It exports around 65 percent of what it produces. Based in Ledbury, Herefordshire, Galebreaker has been through rapid growth and continues to expand. Turnover soared by 16 percent last year and is on course to grow by a further 16 percent in this current financial year. Galebreaker was interested in exploring the opportunity to make an investment that both lowered its carbon footprint and generated cost-savings over a short period. The Business Energy Efficiency Programme (BEEP) was recommended to Galebreaker by the Marches Growth Hub, in September 2017, Galebreaker applied to the BEEP programme. Independent energy management experts, Pro Enviro Ltd, were appointed and carried out a free energy assessment at the factory and offices helping Galebreaker to identify annual savings of up to £18,870 and 62.8 tonnes of carbon dioxide. 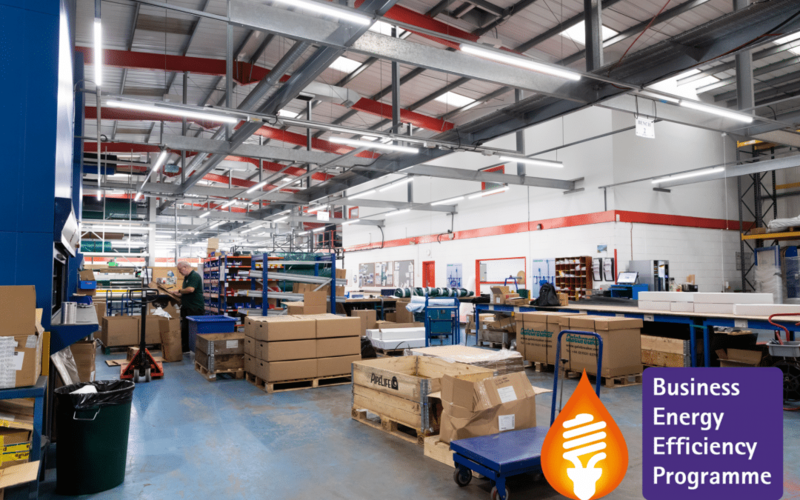 The comprehensive energy management scheme involved changing all factory and office lighting to LED lights and the installation of four destratification fans in the factory. “The project value was around £38k, and we received a grant of £15k. We spent £34k changing every light in the building, including office and outside lighting and £4.5k for the fans. Galebreaker is on track to meet the carbon and cost savings identified in the initial energy assessment. 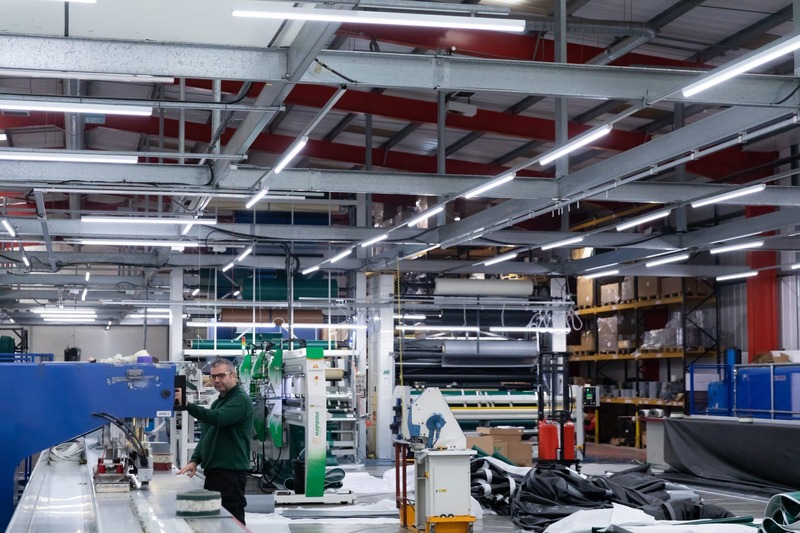 The Business Energy Efficiency Programme is funded by the European Regional Development Fund and offers free advice and up to 40% grant funding to businesses in Worcestershire and The Marches.